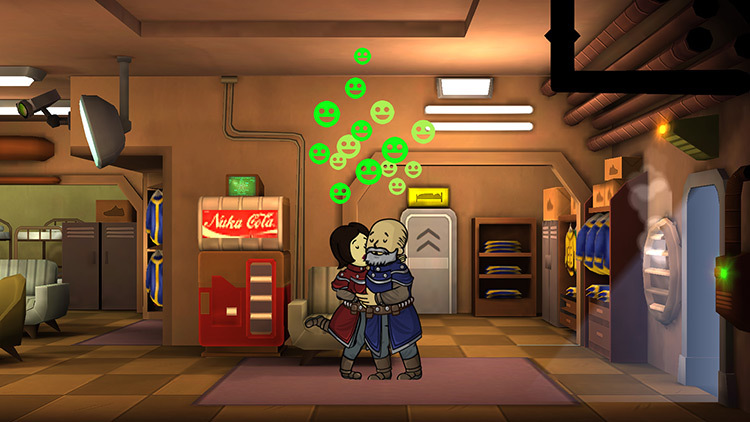 More equipment, pets, crafting all goes towards adding more character and personality, making your dwellers feel more like your own creations than before (you can even fix customise their appearance in a new room these days). 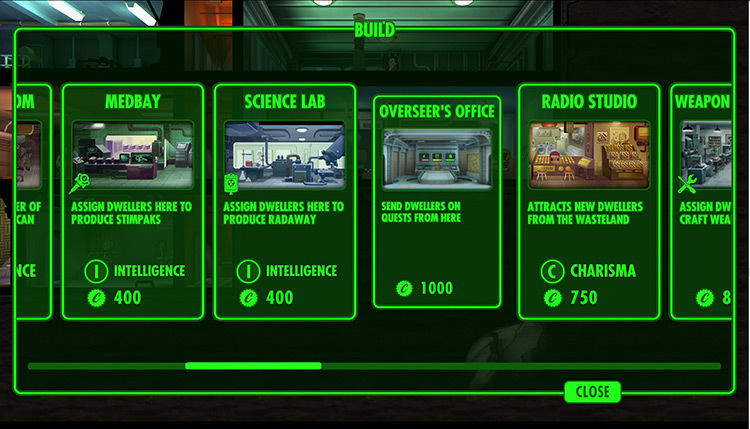 It's good to be an overseer, and it's good to once again manage dwellers. 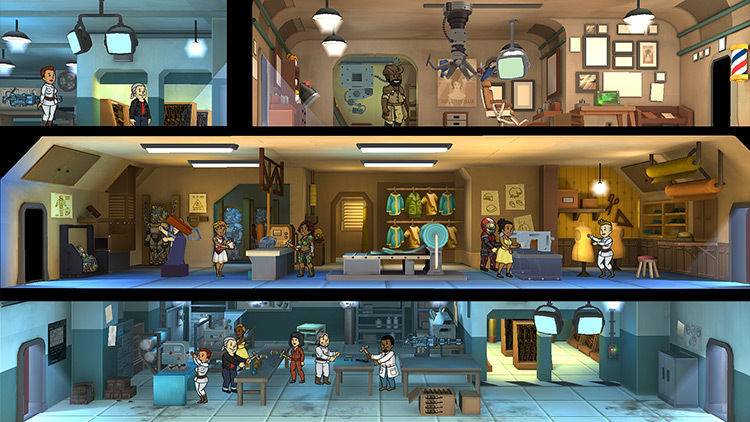 While a free game with a heavy mobile "stench" on it, Fallout Shelter is actually one of the best of its kind, and although its content or amount of depth won't be enough to keep you glued to it for months after months, it will surely become a pleasantly addicting casual pastime, especially for fans of the franchise. Note, however, that this tends to feel better suited to a smartphone's screen. 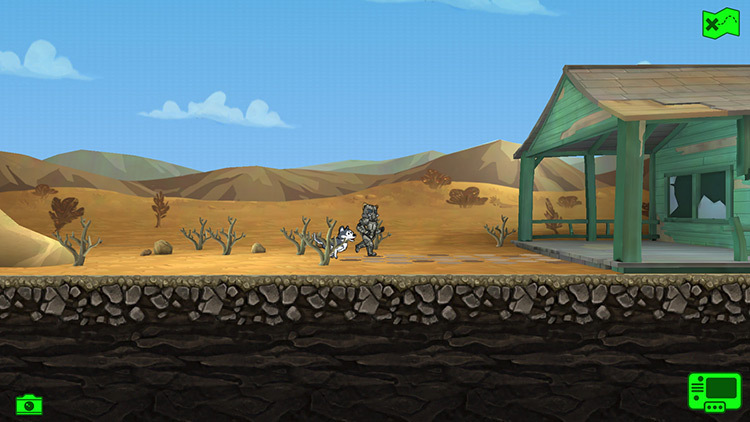 Wenn ich unterwegs Lust auf Fallout bekomme, spiele ich Fallout Shelter. 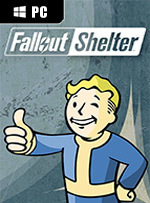 Sitze ich eh schon am Rechner, kann ich auch gleich ein richtiges Fallout starten, denn Fallout Shelter fesselt einfach nicht pausenlos an den Bildschirm. Dafür war es nämlich auch nie gedacht. Für nebenher ist es ganz nett, während man im Internet surft oder einen Meinungskasten schreibt. Für cleveres Ressourcen-Management oder komplexe Charakterplanung ist das Spiel allerdings zu primitiv. Hier und da mal ein Klick, dafür reicht zur Not auch nur eine Gehirnhälfte. 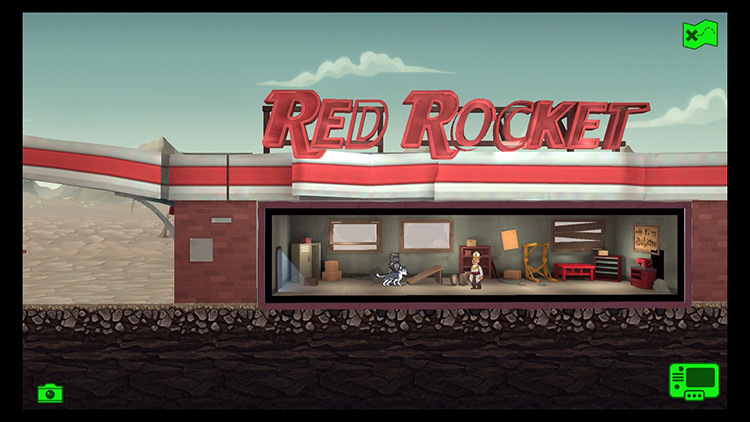 Fallout Shelter ne se réinvente à aucun moment, recyclant tout simplement sa formule à l'exception des contrôles, souris oblige, afin de la mettre à disposition des joueurs ne souhaitant s'aventurer dans les terres désolées du mobile. 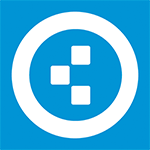 Identique à la version iOS et Android, cette vie de gestionnaire perd tout de même sa dimension nomade et donc une partie de son charme, un phénomène aggravé par l’absence de transfert de sauvegardes entre les différentes versions du jeu. Pecetowy Fallout Shelter to lekka gra strategiczna, które choć rozkręca się powoli, to na dłuższą metę wciąga i bawi. Tytuł to nie dla każdego; szczególnie zrazić może niecierpliwych graczy. Nie zmienia to faktu, że Shelter wywołuje syndrom „jeszcze paru kliknięć”, bo w trakcie zabawy ciągle coś się dzieje – a to dotarliśmy na miejsce nowej misji, a to bohater w trakcie wyprawy trafił na postać niezależną.